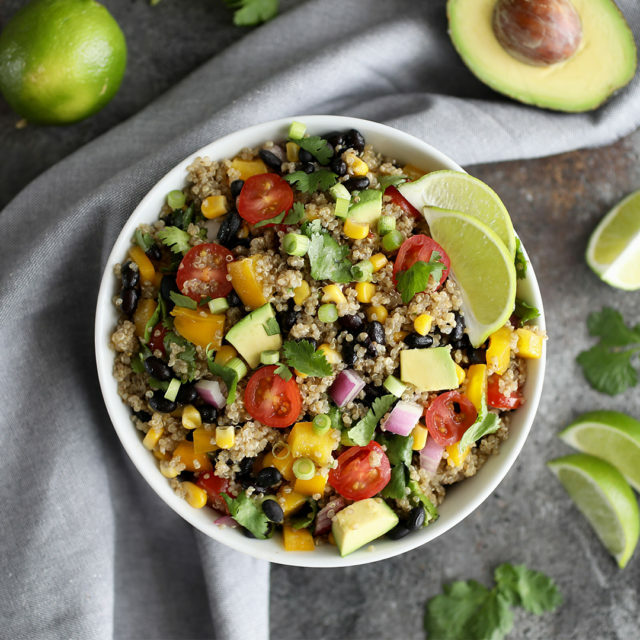 Power bowls are trending at the moment and this easy high protein bowl is fun to eat! This new spin on a BLT sandwich with turkey bacon transforms these classic flavors into a healthy power bowl. Great for breakfast, lunch, or dinner. In saucepan, bring 4 cups water to boil; add quinoa . Simmer for 12 to 15 minutes or until tender; drain. Whisk together mayonnaise, lemon juice, olive oil, mustard, garlic, salt and pepper. 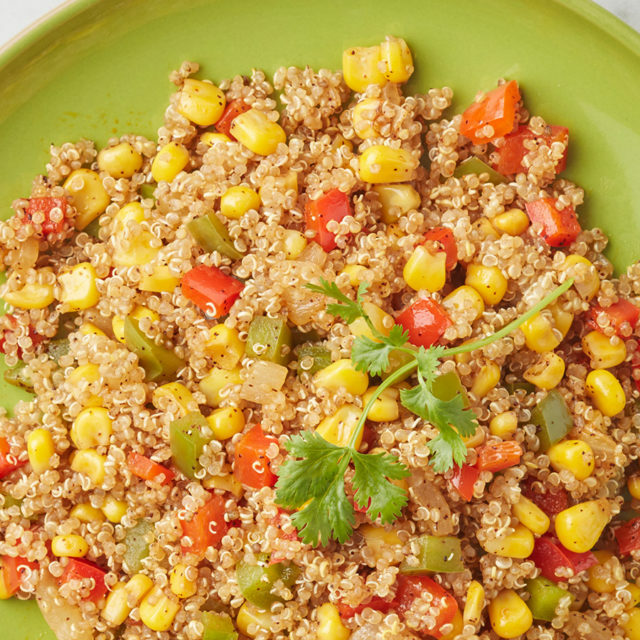 Toss quinoa with half of the dressing ; divide among 4 bowls. 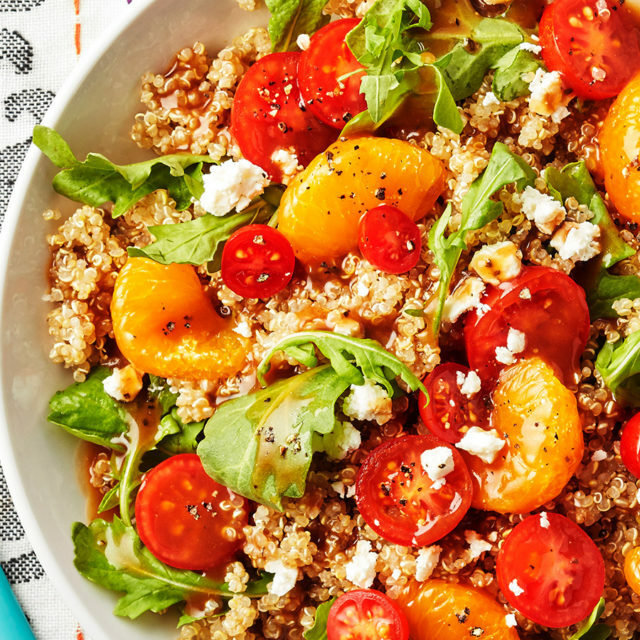 Arrange lettuce, tomatoes and bacon over quinoa . Drizzle with remaining dressing and sprinkle with chives. Tip: Make it a turkey club bowl by adding chopped turkey and avocado.